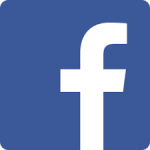 FireBike is Essex County Fire & Rescue Service’s dedicated motorcycle safety product through which it engages positively with motorcyclists and their pillions on a range of safety and related issues. The FireBikes serve as an attraction and point of interest, and create the opportunity to open up a genuine two way dialogue with motorcyclists. The aim is to promote safer riding, encourage the use of personal protective equipment and promote the benefits of advanced rider training. 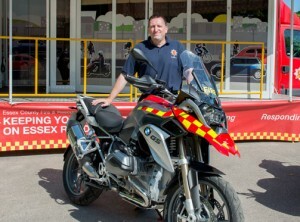 The FireBike rider team members are all serving Fire Service personnel. They are keen motorcyclists qualified to RoSPA Gold Advanced Motorcyclist standard – the highest civilian motorcycle riding qualification. They are passionate about motorcycle safety. Furthermore, all members of the team hold RoSPA’s National Diploma in Advanced Riding Instruction, and thus are highly qualified advanced motorcycle instructors. This enables them to undertake on-road observed riding assessments – fundamental to the delivery of the FireBike ‘Better Biking’ Courses and to participation in the Essex Police BikeSafe scheme. 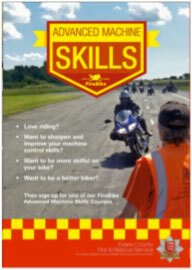 Encouraging motorcyclists to improve their skills is an important component of FireBike and enhancing rider skills is significant to reducing motorcycle KSIs in the longer term. 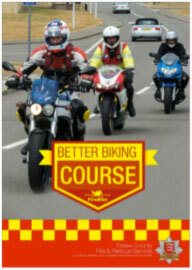 FireBike offers two motorcycle courses for riders. A half-day course providing advice, guidance and assessed ride feedback designed to improve your existing road riding skills and help you to enjoy safer biking even more. A FireBike team member will undertake an assessed ride with you and provide practical advice and guidance on your riding, highlighting strong points and suggesting areas where improvements can be made through practice. You’ll be given tailored feedback on topics like observation, positioning, gear selection and overtaking. At the end of the course you’ll get immediate feedback from the FireBike team member. You will be presented with a certificate of attendance and a ‘goody bag’. 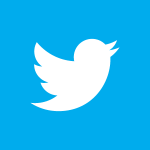 A concise written feedback report will be sent to you shortly after the course. You can book a place on a FireBike Better Biking Course by emailing firebike@essex-fire.gov.uk and providing your full name; address; bike make, model and registration number; contact phone number and email address. A full day course held at Wethersfield Airfield, the focus of which is machine control – slow speed handling, positive steering, merging exercises, swerving skills, emergency avoidance techniques and advanced braking skills. Each skill element is covered in depth with highly experienced instructors, with plenty of opportunity for participants to practice before moving on to the next element, building skill levels as the day progresses. These training days are all about sharpening some key skills, which unfortunately are rarely practiced but will help improve riding on the the road and help reduce the chances of a collision. There are just 12 places per course, available on a first-come-first-served basis. The course is for everyone, no matter what you ride, however long you’ve been riding, whatever your experience. We promise that you will learn something from the course that will improve or transform your riding. You will leave the course a better rider! You can book a place on a FireBike Advanced Machine Skills Course by emailing firebike@essexfire.gov.uk and providing your full name; address; bike make, model and registration number; contact phone number and email address.